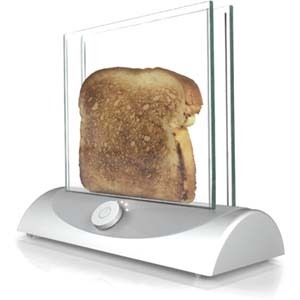 This transparent toaster allows you to see the bread while it is toasting so you’re never surprised by toast that comes out too dark. This idea is based on a transparent heating glass technology. It’s still just a concept but hopefully we will see it in stores in the near future. seiously, when it’s gonna be in the market?